Our God is a living God and He speaks to us even today. 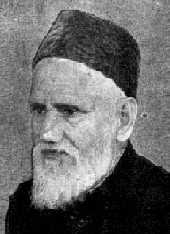 Scholar of the Quran and Hadith. Translator of The Holy Quran in English and author of The Religion of Islam. 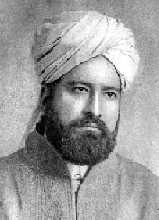 Missionary to England at the Woking Mosque. 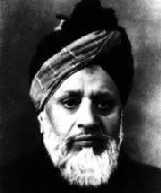 Author of Mohammad in World Scriptures. Expert in Vedic Religions. I will shun falsehood, adultery, sensual gaze and all kinds of inequity and impiety and perfidy and sedition, disloyalty, and will not submit to carnal passions under the most provocative instigation. I will regularly perform my prayers five times in accordance with the injunctions of Allah and the Prophet, peace and blessings of Allah be upon him, and so far as possible, I will say the Tahajjud Prayers (Voluntary Nightly Prayers), and call for Blessings on the Holy Prophet, peace and blessings of Allah be upon him (Darood), and seek Allahs forgiveness and will crave for His mercy. I will not inflict any injury on the people generally, and in particular on the Muslims, under any undue provocation by tongue or hand or in any other manner. I will ever remain faithful to Allah under all circumstances whether in grief or respite, or distress or prosperity, and will be always content with Allah in calamity, and will be ready to bear willingly any disgrace and affection in His path, and will not abandon Him on occurrence of any calamity; but instead will move forward. I will abstain from following the traditional customs, and indulging in licentiousness. That I will comply fully with the Quranic injunctions, and will follow in every way, the commandments of Allah and the Holy Prophet, peace and blessings of Allah be upon him. I will entirely shun arrogance, haughtiness, and will spend my life in humility, and meekness, politeness and gentleness in consonance with the Quranic injunctions as contained in verse 63 of Chapter al-Furqan: "And the servants of the Beneficent are they, who walk on the earth with humility," and in verse 37 of Chapter Bani Israel: "And go not about in the land exultingly." I will keep the Faith, and the honour of the Faith, and my sympathies with Islam, more dear than my life, my honour, and my wealth and my children, and, even more precious than everything dear to me. I will be compassionate with all mankind for Allahs sake only, and as far as possible, I will utilise my God-given energies to benefit them with Allahs favours. 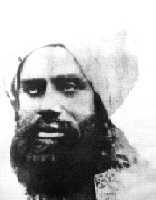 I will maintain fraternal relations with Hazrat Mirza Ghulam Ahmad, exclusively for Allahs sake with the pledge for submission in the right cause till my death, and in this fraternal kinship will be so thoroughly steadfast as to be above all blood relations and connections, and all subjugatory positions.